The past and the present collided on Saturday, September 6th at New York’s Bowery Ballroom for a reunion tour that showcased the best the genre has to offer. 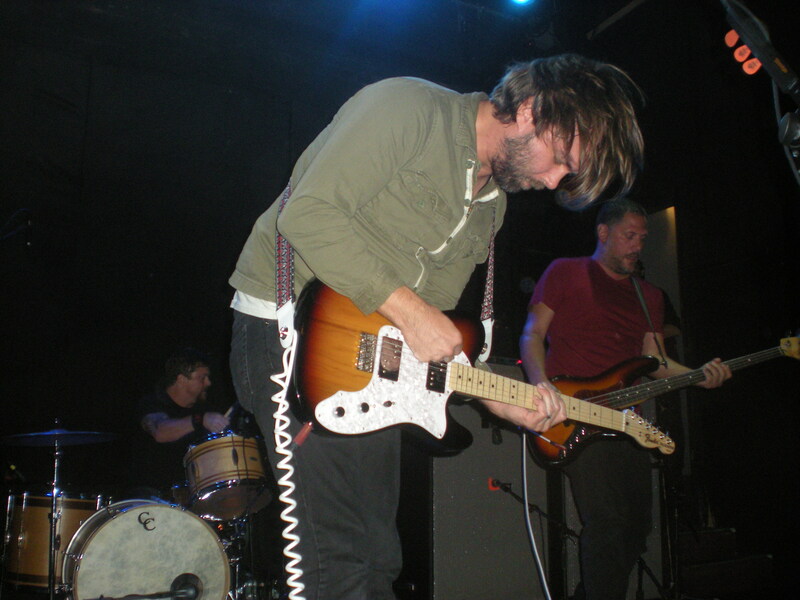 Seminal emo group Mineral took their reunion to New York for the third of four straight nights of nostalgia, bringing along with them Evan Weiss’ emo revivalist project Into It. Over It. Mineral, who broke up in 1997 after releasing only two albums, announced their comeback in April to celebrate the 20-year anniversary of their formation. Along with a full U.S. tour to celebrate their first shows in 17 years, the band also announced Mineral – 1994-1998: The Complete Collection, containing both their albums along with some bonus tracks and recordings to mark the occasion. Into It. Over It. strolled to the stage at 9pm to open the show. Evan, who used to perform with nothing more than a stool and acoustic guitar, has built Into It. Over It. 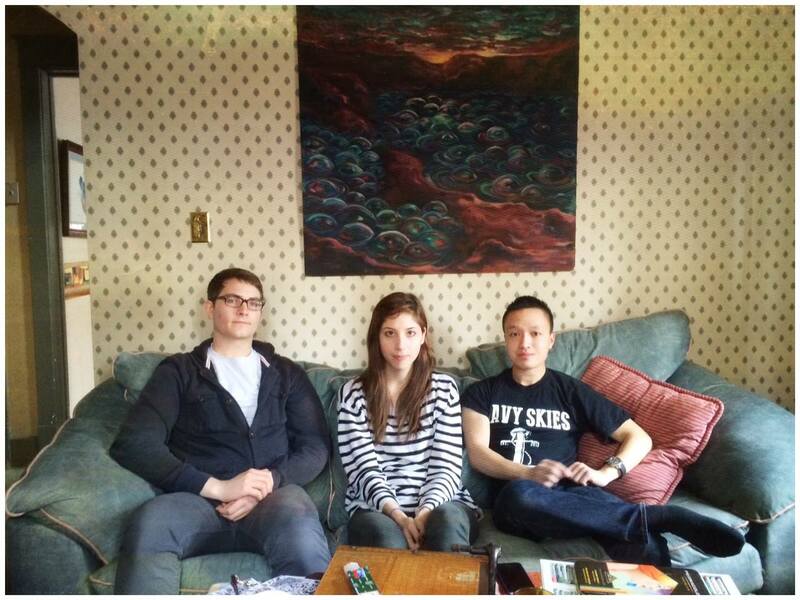 into a four-piece band over the past two years with the help of some hometown musician friends. 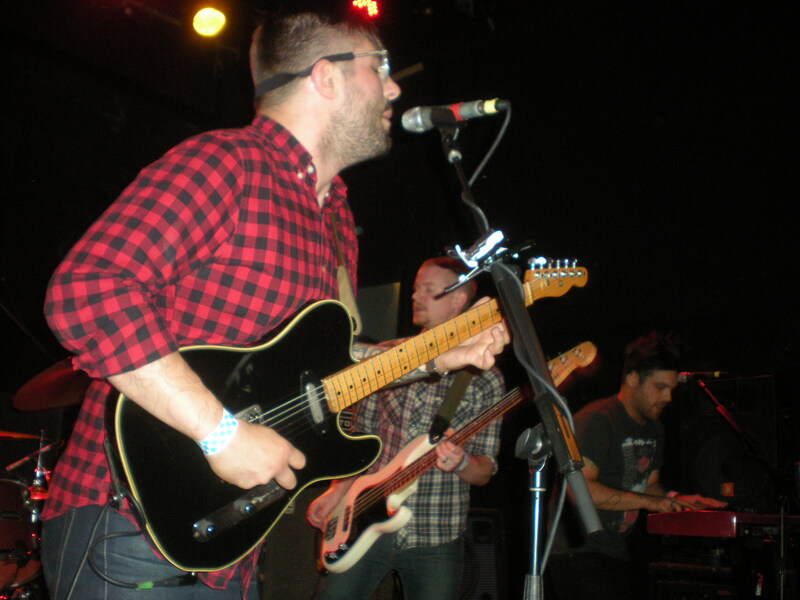 Following a headlining tour earlier this year with A Great Big Pile of Leaves and a supporting tour last year with Saves the Day, the band appears more comfortable with each performance, and playing the songs with full instrumentation has allowed Evan’s songs to come to life and take on a new level of energy. Songs like opening track “Embracing Facts” and “Upstate Blues” are particularly more vibrant thanks to the addition of a full backing band as opposed to a lone acoustic guitar. Evan’s exhibited a refreshingly self-aware attitude, announcing to the crowd “Thank you to Mineral for allowing us to come on tour and bum you guys out.” The band’s emo roots felt at home on this tour, and Evan seemed to appreciate the opportunity and embrace it fully, performing some sadder tunes (“No Amount of Sound”, “22 Syllables”). The band made sure to sprinkle in the high-energy “Discretion & Depressing People” and “Brenham, TX”, which Evan added to switch up the setlist for fans attending more than one night. 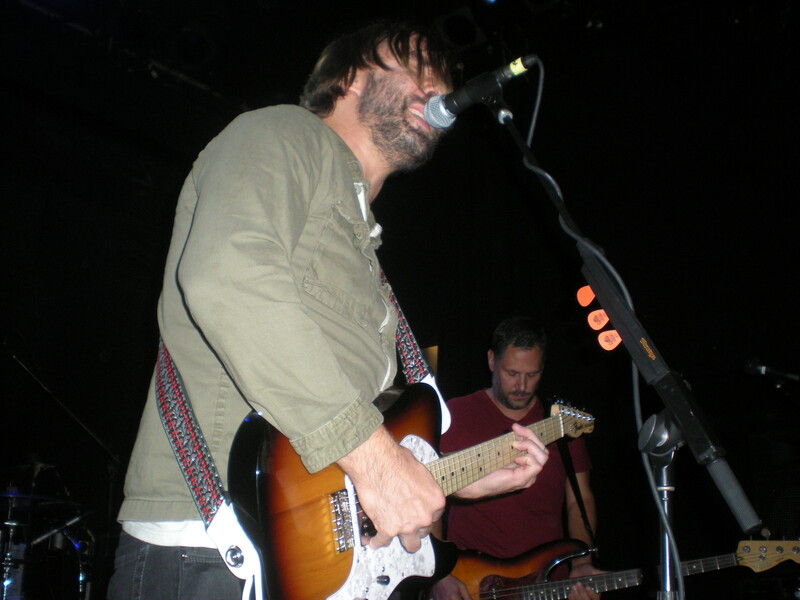 The group was joined on-stage by Matt Fazzi (A Great Big Pile of Leaves, Ex-Taking Back Sunday) to perform keys on some new songs and to close the set with fan-favorite “Midnight: Carroll Street”. Into It. Over It. received a warm reaction from the crowd and proved the perfect opener for this type of show. Mineral, the main attraction of the night, took the stage a little after 10pm to a raucous ovation. Vocalist/guitarist Chris Simpson playfully stated, “Tonight, we’re gonna party like it’s 1995” and truer words have never been spoke. This tour is the culmination of a wave of nostalgia which has brought about a heightened demand for emo bands from American Football to Texas is the Reason to Mineral. While these influential bands were popular in their day, the emo resurgence has allowed a younger generation to discover these bands, which existed and made their name in the mid-to-late 90’s. Though the band just played their first show in 17 years, they sounded great and inspired the crowd to fold their arms, nod their heads, and sing along (as Evan Weisshumorously noted during his set as being the proper action to take at an emo show). Their on-stage set-up was simple and lacking any flashy lights or colorful backdrops, focusing instead on four men pouring their heart into the music. With only two albums to choose from, the group presented a balanced mix of their heavier debut album The Power of Failing with their more emotional and slowed-down EndSerenading. Chris Simpson’s classic crooning was in top form, bringing the emotional weight of “Five, Eight, & Ten” and “February” out. The audience sang along to fan-favorites like “Gloria” and “&Serenading” as if they had been waiting their whole life to experience it. While the band members didn’t seem to exude much camaraderie as is seen during some reunion tours (turmoil while recording EndSerenading led to the break up), they all seemed genuinely happy to be playing music again and gave the audience a solid 90-minute trip down memory lane. The term “emo revival” is often met with scorn from older fans, finding the idea that emo went away laughable while condemning newer bands as not worthy. But what’s clear is that there is a demand for emo bands reviving. With new music from Sunny Day Real Estate, an upcoming sold-out reunion tour from American Football, and more Mineral shows in America and Europe coming for Mineral, it’s safe to say the emo resurgence continues to find an audience in older people who experienced it as it happened and younger kids who are experiencing the revival now and want to get a first-hand look at the bands who influenced the fresh wave of up-and-comers. On a night like this, it was clear that there is no competition between old and new, they can each exist in perfect harmony and compliment each other nicely. When you think of free shows in Brooklyn, you picture dingy bars with no-name locals bringing friends and family to watch them awkwardly and energetically rip through a short set in the hopes of building a big enough fan base to hop one day make it big. Not that there’s anything wrong with this, as these shows are often a lot of fun with the right bands. 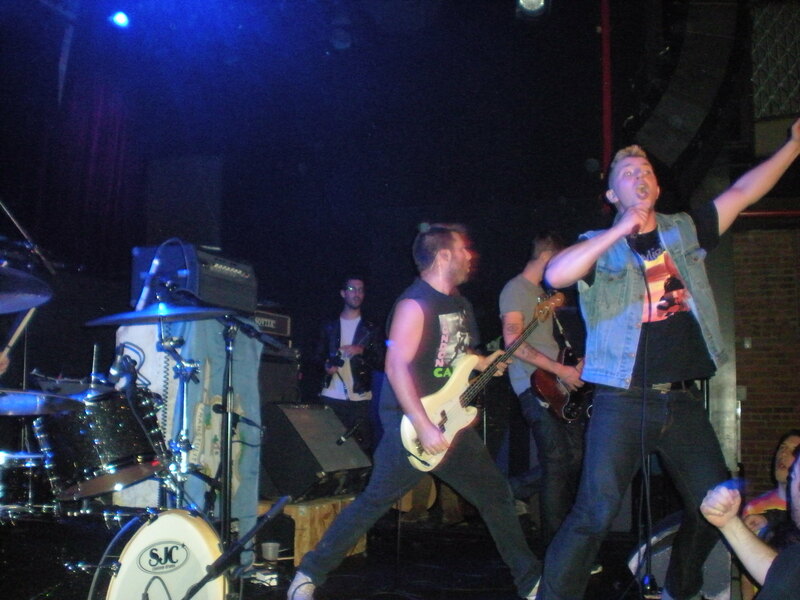 However, it’s rare to see a free show in one of Brooklyn’s premiere venues featuring one of the most well-recognized emo-punk bands of the past decade perform a near-perfect setlist. Thanks to Converse Rubber Tracks, this scenario became a reality on Thursday, September 4. 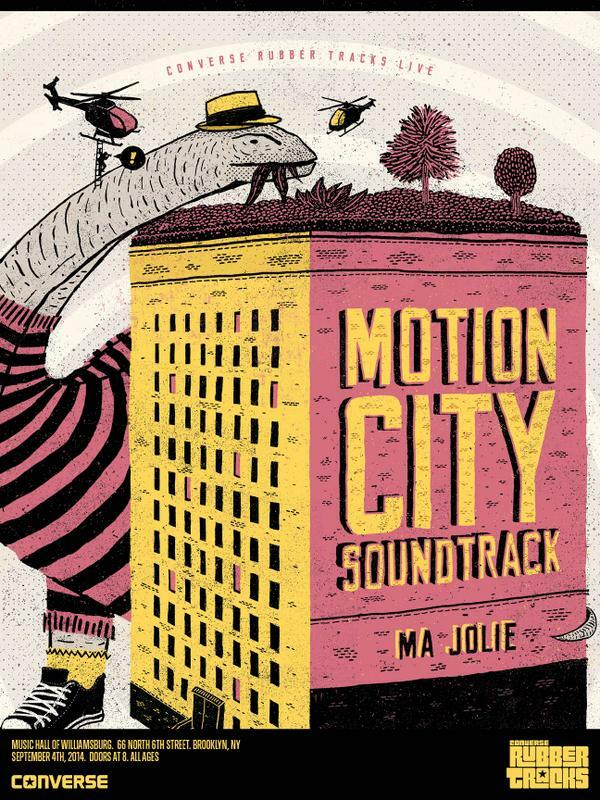 As part of the Converse Rubber Tracks Live Concert Series (which features bands that have recorded in their Converse Rubber Tracks studio in Brooklyn), Minneapolis’ Motion City Soundtrack announced a free show at the Music Hall of Williamsburg with Philadelphia punks Ma Jolie. The show “sold out” instantly and created quite a stir, as the band has not played many shows in 2014 in preparation for their upcoming studio album (set for an early 2015 release). Ma Jolie, the opener “hand-selected by the headlining act”, took the stage at 9pm to a warm reaction of fans mainly there to see the headliner.. With no prior knowledge of the band, I was pleasantly surprised with their enthusiasm and uninhibited energy. They played loud, fast punk songs that went above the typical 2-minute threshold but never quite overstayed their welcome or felt long-winded. The group chose to use their 30 minutes to throw as much music at the audience as they could, stopping only to express amazement and gratitude at the opportunity of opening a show for such an influential band. 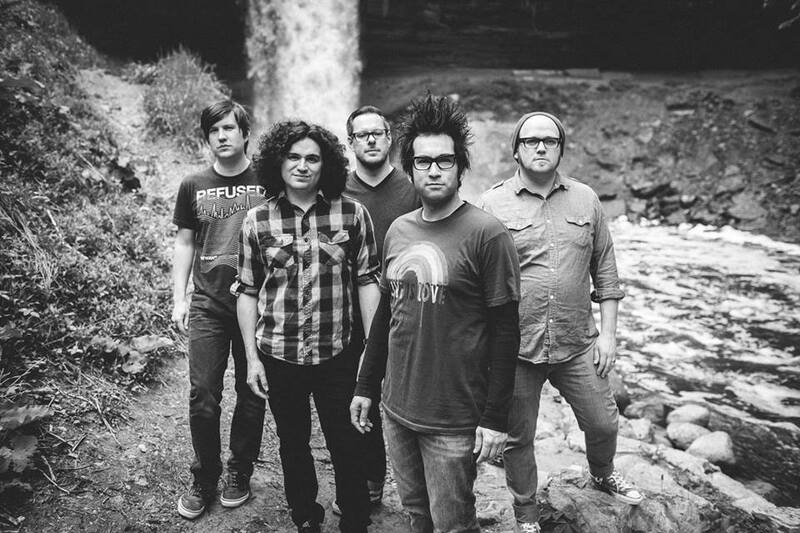 Their dynamic presence and unbridled energy made them the perfect opener for Motion City Soundtrack, a band whose live shows exhibit the same brand of zany, off-the-wall enthusiasm and electricity. Motion City Soundtrack, who haven’t headlined a New York City show in almost two years, walked out at 10pm to a packed room. While opening with “My Favorite Accident”, a fan-favorite from their decade-old debut I Am the Movie, I was surprised and a little saddened to see the song receive a lukewarm reaction. The crowd was unusually reserved, singing along without much movement for such a lively song. The fans had a similar reaction to the poppier single “Broken Heart”, leading me to dread that the crowd merely came to take in a free show. However, once Commit This to Memory opener “Attractive Today” blasted through the speakers, the crowd erupted as the wave of stage divers and moshers took hold. The song proved to be the adrenaline shot that reinvigorated the crowd and helped the band settle in and open up. From there, the band mixed it up with choice cuts from each of their five studio albums. What made their performances so enjoyable is that, even with so many popular singles to choose from, they always manage to throw in some deeper cuts to the audience’s surprise and pleasure. At this show, the band brought out the quick and punchy “The Red Dress” and the wacky and uncontrollably urgent “Capital H” (from their first album) along with the cathartic and in-your-face “When You’re Around” and the serene and beautiful “Last Night”, each of which brought about an appreciative response. The group even shocked themselves by performing “Throw Down”, one of their oldest songs, at the request of a front-row fan. Justin Pierre playfully mimed his inability to play the song but learned it with the help of guitarist Joshua Cain and played it at what he referred to as “75 percent capacity”. Fans didn’t seem to care, as they crashed and danced around the pit in pure bliss at the surprise of the night. The setlist was heavy on the quintet’s first three albums and only sprinkled in the singles from their latter two releases My Dinosaur Life and GO. While many enjoy those albums, you’d be hard-pressed to find any complaints from the crowd. The band’s setlist was as good as anyone could have possibly hoped for going into the night. Of course, no Motion City Soundtrack performance would be complete without hit songs “The Future Freaks Me Out”, which inspired a frenzy of dancing and jumping, “Everything Is Alright” and the mellow, emotional “Hold Me Down”, which calmed down the crowd in a hushed sing-a-long to close off the 80-minute set. 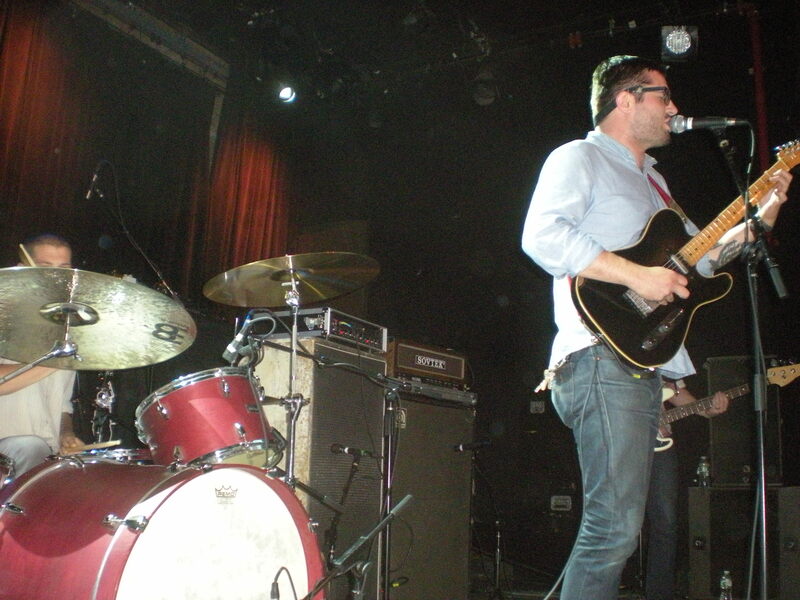 The band’s Brooklyn set marked the first time I had the opportunity to see them perform live with new drummer Claudio Rivera (ex-Saves the Day), who replaced long-time drummer Tony Thaxton at the start of 2013. He fit in well with the band’s jovial, high-energy performance. His liveliness on stage was matched only by keyboardist Jesse Johnson, who is a ton of fun to watch as he parades around the stage in between his piano riffs and pleads with the crowd to give him everything they’ve got, which always seems to work. Throw in Justin Pierre’s adorably awkward presence and the group’s tireless enthusiasm and on-point instrumentation and you had a fun night all around. When Mumford & Sons played the first show in over 20 years at the legendary Forest Hills Tennis Stadium in Queens NY (the venue previously hosted the U.S. Open tennis tournament until 1978), it was understandable that the venue would had some problems. While the band’s performance was top notch, some of the bigger issues, including the unbearably long wait time to exit the venue and people with a ticket being refused entry, were so bad that it made the local and national news. 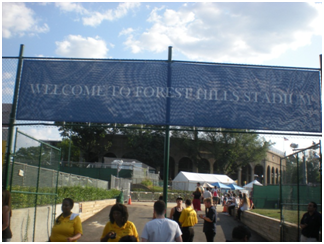 With a number of hot-ticketed events scheduled for the summer of 2014 (including The Replacements and a Lil Wayne/Drake co-headlining show), all eyes returned to Forest Hills to see how the venue’s staff would handle these complaints in order to create a better experience this time around. 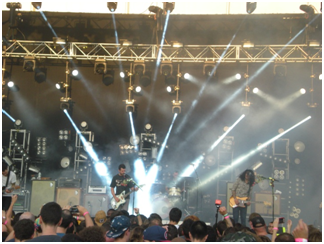 Brand New promptly took the stage at the unusually-early time of 6:30 under a partly cloudy but still bright sky. 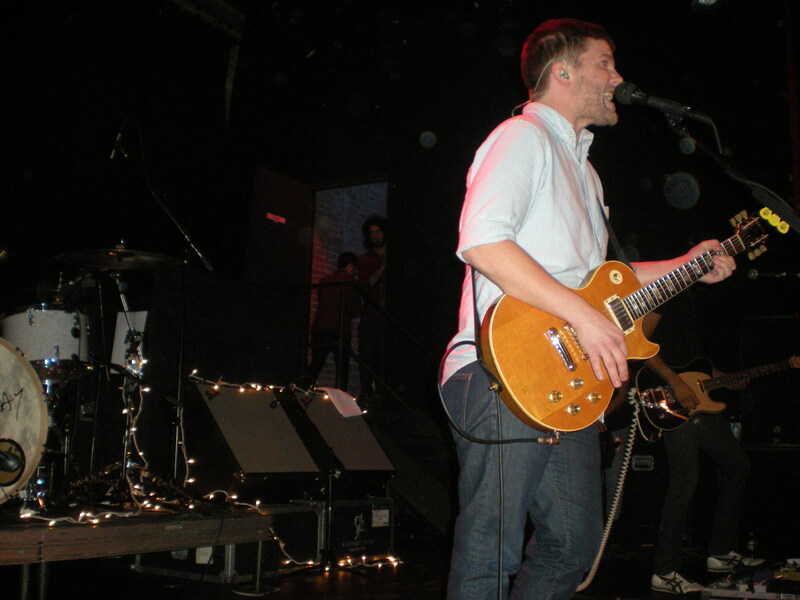 Frontman and local Long Island fan-favorite Jesse Lacey greeted the sold-out crowd of over 15,000 quickly with “Hello New York” before diving into the aggressive “Sink” off their latest EP Daisy. As Brand New has become accustomed to doing, they sectioned their setlist off by album, beginning with Daisy before moving into Deja Entendu and Your Favorite Weapon and ending with a heavy dose off The Devil and God Are Raging Inside Me. The band, which have been known at times to not sound their best in larger venues or outdoor arenas were on-point in front of their hometown crowd, who received them warmly from the get-go. 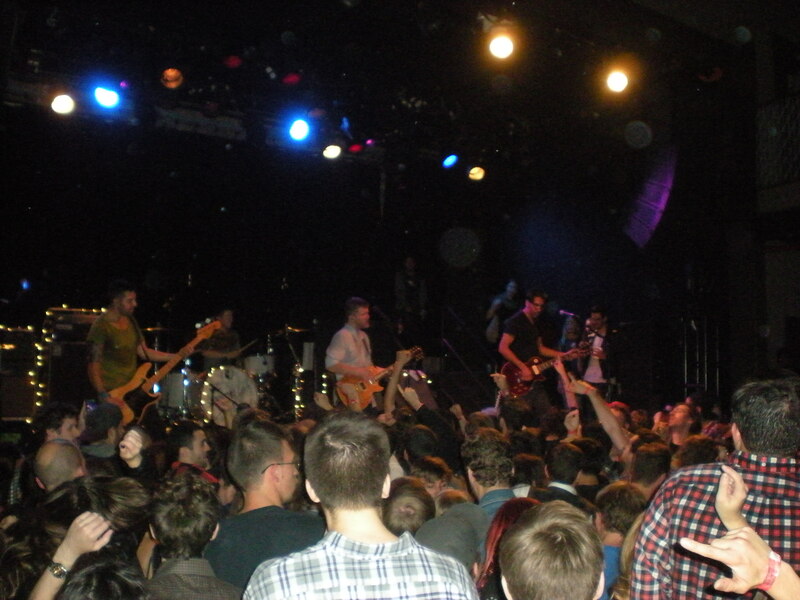 Even tracks off Daisy, which has received a lukewarm-at-best reception from critics and fans, got the crowd moving, as a mosh pit opened up during the slow 6-minute epic ”You Stole”. The usually secretive band opened up to the crowd moreso than they usually do, as Jesse proclaimed, “I get used to telling people that it feels good to feel like you’re at home, but it feels even better to feel at home when you are home, so thank you so much.” Brand New, who have picked up their touring far more this year, seemed to be fully enjoying their 90 minute set and relishing in the crowd’s enthusiasm. The middle of the set inspired raucous participation from the adoring audience, especially on the band’s most beloved songs “Sic Transit Gloria…Glory Fades” and “Seventy Times Seven”, which got the crowd singing along to the song’s famous bridge. While Jesse’s vocals at times appeared strained, he didn’t let that stop him from unleashing his full range of emotions on the audience. Musically, the band was connecting on all levels even in the scorching summer heat. The band closed their set with the emotionally-draining “Degausser” and “You Won’t Know”, resulting in 10 minutes of cathartic chaos. The only downside was the band being forced to cut “Soco Amaretto Lime”, which appeared on printed versions of the setlist. Headliner Modest Mouse took the stage half hour later as the sun finally finished setting and gave way to darkness. While small sections of the crowd emptied out after Brand New, a majority of the audience stuck around for the Washington band. 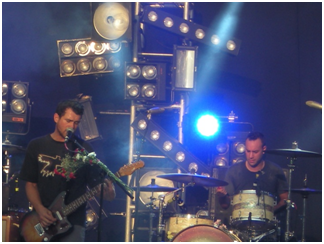 Though I have never been a big Modest Mouse fan, I was impressed by their energy and their stage presence. 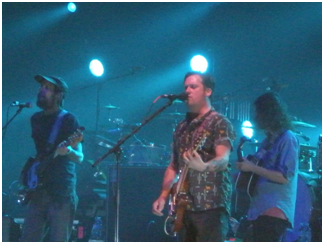 Having only listened to a few songs (which I could not identify with), I found their live sound much more enjoyable than their recorded music and found Isaac Brock to be very funny and forthcoming with his adoring crowd. The group went nuts and warmly received the band, who even broke their reputation for skipping their most famous song and played “Float On” in the encore. Overall, the venue fixed many of the biggest problems from their lone 2013 concert and gave the crowd of over 15,000 tri-state area folks a memorable experience. While ATM and food lines remained long, the entry and exit was far easier and security and personnel were far more helpful this time around. With only three concerts held at Forest Hills Stadium in over 20 years, the venue could have done far worse, and with three more shows planned through September, things look to be improving rapidly. Fans heading to Forest Hills for any of those shows should be ready for a fun time. There’s nothing I like more then getting to see a band before they become really popular. I’m sure that some of the people reading this are already rolling their eyes and, especially if they know me, (fondly) calling me a hipster. But there’s a good reason for me saying that. The truth is that seeing a band perform on a smaller stage really gives you a chance to see what they are really made of. If a band is still playing small pubs or venues with a couple hundred capacity, take note on how they conduct themselves. Those shows are probably the least glamorous shows they’ll ever play. Smaller venues might not have the best acoustics, and there’s probably no audio technicians to make sure the band sounds their absolute best. Sound checks are relatively short, rushed affairs, undertaken to make sure all the strings still work and are relatively in tune or that the drum kit is assembled correctly. The shows might not sell out and the crowd might be disinterested or at least disengaged. That is the moment when you see what the band is truly made of and how much they are committed to what they do by how they conduct themselves. 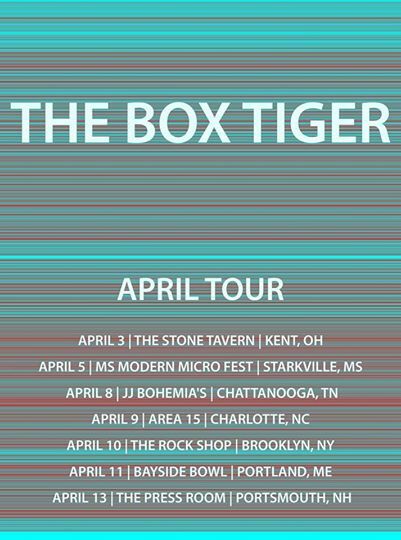 For a young band that is starting to make a name for themselves, Toronto/Portland ME based indie rock band The Box Tiger is poised for success. Though they’ve recently been opening up for increasingly popular bands such as Frank Turner, Metric, and Foster the People, the band takes all their shows seriously; even when its a small headlining show at a pub in Portsmouth, NH. The band came into town on April 13th, playing at show at the Press Room which brought an end to an April tour that took them all the way down to New Orleans before once more making their way north. The band made sure to hang out and talk to friends and new fans alike both before and after their set. Though somewhat shy and quiet in person, singer Sonia Sturino put on a captivating performance during the band’s short but energetic set. Her vocals at times skirt the edges of wild but they merely add an extra layer of indie rock power to her performance. Where does a band go after releasing three emotionally tormented albums, a conceptual trilogy packed with alienation, fear, turmoil, painful self-discovery, and eventual acceptance? For Saves the Day, the challenge provided just the fresh start they needed. 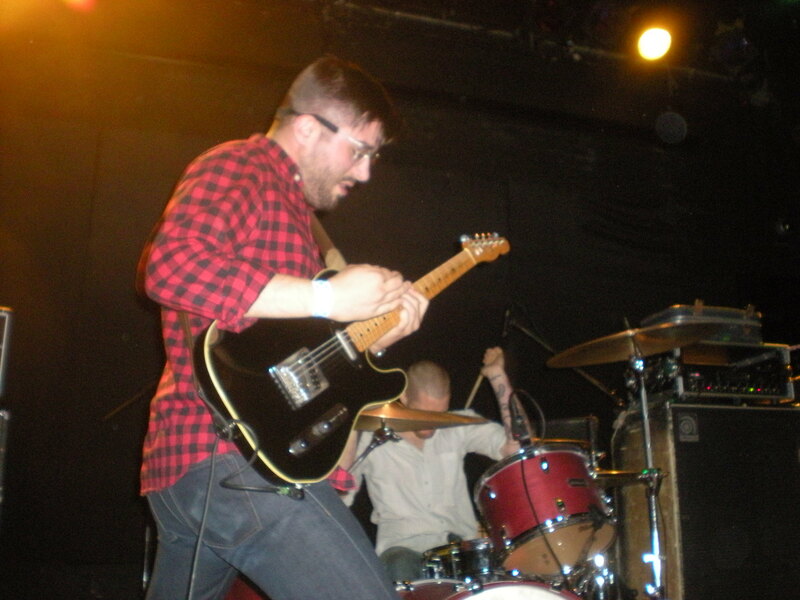 Front man Chris Conley, the band’s only remaining original member, described the completion of the trilogy to Punknews.org as the moment the band “finally found peace”. Daybreak, the trilogy’s final piece, faced many problems with members leaving and re-recordings, but the finished product received solid reviews and re-introduced the world to the band. The trilogy spanned 7 years and countless line-up changes but in the end showed that the band had a lot more left in the tank. With the trilogy behind them, Saves the Day asked fans to help fund their upcoming, self-titled album, which resulted in a hugely successful Pledge campaign. This allowed the band to write the album they wanted to while giving fans the opportunity to witness cool, intimate shows where played their classic early albums in return. The resulting album felt like a dream fulfilled for Saves the Day, who finally have a solid core line-up. 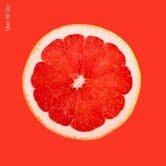 The tracks are short and punchy with poppy melodies mixed with the old, aggressive feel of earlier Saves the Day music and a noticeably brighter outlook on life. The album combines the eclectic variety of In Reverie with the classic Saves the Day sound of Stay What You Are, with songs like “Remember”, “The Tide of Our Times” and “Ain’t No Kind of Love” feeling like a breath of fresh air for the band. With a new album in tow, the group embarked on a long-awaited headlining tour where they asked fans to weigh in on what songs they wanted to hear. So on September 26, when the tour came to Brooklyn, the anticipation was sky-high as The Music Hall of Williamsburg was the earliest show to sell out. Connecticut-based punk band Hostage Calm opened, quickly marching through tracks from their latest full-length, Please Remain Calm,along with old fan favorite “War on a Feeling”. The band has been touring tirelessly in support of the 2012 album, and while their crowd was small, the dedicated group still showed up to sing along to every verse. Evan Weiss’s acoustic/punk project Into It. Over It. followed, sporting a full-band look that contrasted nicely to Evan’s usual solo acoustic set-up. While Evan’s witty, insightful and self-aware lyrics can often get a bit swallowed up in the full band setting, his stage presence and unmatched energy were still front-and-center. Evan and his backing band were on point during the 14-song set that spanned the entirety of the band’s catalog with some solid choice cuts, including “Humboldt”, “Heartificial”, and “Discretion and Depressing People”. Saves the Day finally stormed the stage at 10pm, sporting a setlist that featured 30 (yes, 30) songs that touched on the band’s entire career. After opening with “Remember”, the first track off their new release, fans were whipped into a frenzy when the band launched into old pop punk favorite “Shoulder to the Wheel”, and there was no shortage of somersaulting stage divers and crowd surfers in the audience. The reaction to each song off Through Being Cool or Stay What You Are was nothing short of pure bedlam, but the band only became more invigorated to see the response they were getting. At times the crowd’s singing overtook Chris Conley’s nasally vocals as the show became a celebration of the band’s entire career. Fans showed some of the newer songs some love as well, displaying the devotion and appreciation to their entire catalog. The great thing about Saves the Day is they always change their setlist up, so no two are the same. While the band would never leave off classics like “Holly Hox, Forget Me Nots”, “Firefly”, or “The End”, every show is an opportunity to hear songs like “Through Being Cool”, “Jukebox Breakdown”, “Get Fucked Up”, “Undress Me”, and “Bones”, some lesser known tracks that show off the band’s impressive range. By the time they ended with popular b-side “Sell My Old Clothes, I’m Off to Heaven”, fans were not ready to go, and neither was the band. Returning to the stage to play the hauntingly catchy “At Your Funeral”, the band busted out two more rare tracks to end the night with “Banned From the Back Porch” and “Jodie”. Finishing with the closer from their 1997 debut album Can’t Slow Down felt fitting, as the band paid tribute to their past while the fans rewarded them with the energy and passion they have earned. In the end, the set proved to be one of the most memorable I have ever witnessed. Never ones to rest, the band also played a secret after-show at St. Vitus Bar in Brooklyn at 1am, playing through their 1999 pop punk magnum opus Through Being Cool. The band’s tireless work ethic, passion, and love for their fans and their own work is something to be admired and praised, and with so many people packing their shows on tour it was a just reward for another solid album and a fantastic live show. It appears stepping into the time machine has been the best thing Saves the Day could have done.